We obtained version 1.0 as part of our support contract on MeetingPlace because CWMS is considered the next version or upgrade of MeetingPlace. Not surprising that you cannot upgrade from MeetingPlace to CWMS, but rather migrate to it as the platforms are completely different. This product does not require an MCU or other hardware assistance. We use Cisco Unified Communication System (UCM — aka CallManager) which had to be upgraded to version 8.6. I am guessing there is some SIP communication improvements or additional functionality in that version since CWMS is just a SIP trunk as far as UCM is concerned. Upgrading UCM from 8.5 to 8.6 is not trivial though. It is a major upgrade and takes quite a bit of time. Follow Cisco’s instructions on this process to the letter or you will have problems. 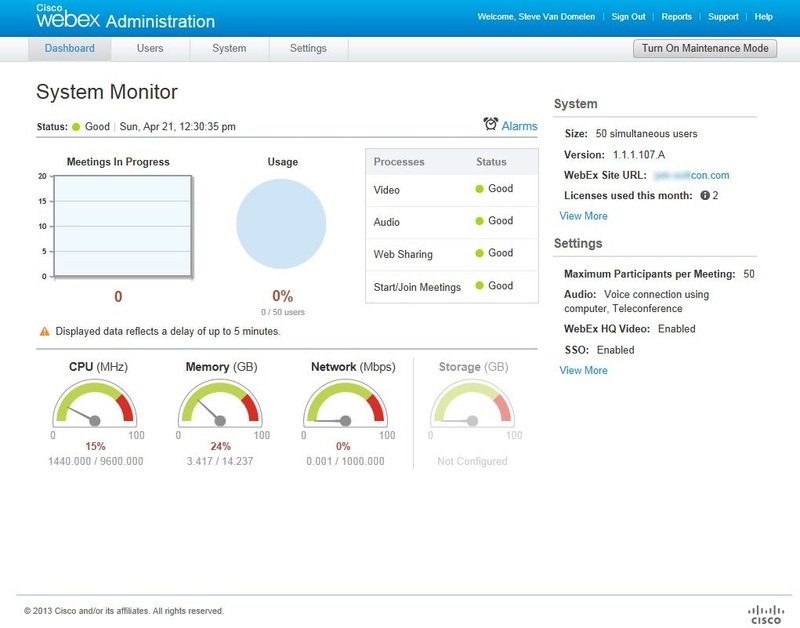 CWMS runs on ESXi 5.0 and is delivered as a virtual appliance on a USB drive. 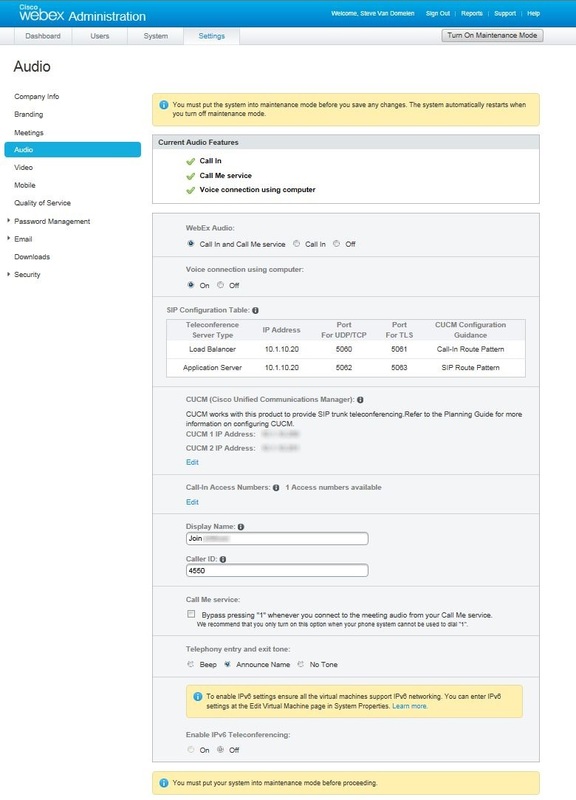 Even though it is virtual, you must purchase a Cisco Unified Computing System (UCS) platform to get CWMS to install and be supported. I have heard that Cisco will change this requirement and allow other systems (HP, IBM) to be used, but that is just a rumor right now. 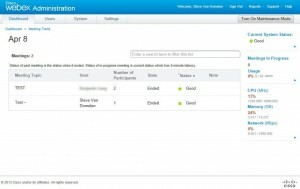 Before we had a chance to install the software, we received a second USB drive from Cisco. It looked identical and I did not understand why they shipped me a second unit. I checked the devices and learned that the second device was for version 1.1.1 which supported ESXi 5.1 along with a long list of updates. I also received an E-mail from Cisco stating that if 1.0 was already instsalled the process to upgrade required a new license. So, it was fortunate that I waited and just install 1.1.1 straight away. I later learned from CDW during my SSO work that there was a patch that really should be applied which takes the software to version 1.1.1.107A. Anyway, we purchased a C-200 at a reasonable cost (no, really it was actually reasonable) and installed ESXi 5.0 on it (also obtained ESXi from Cisco as well). 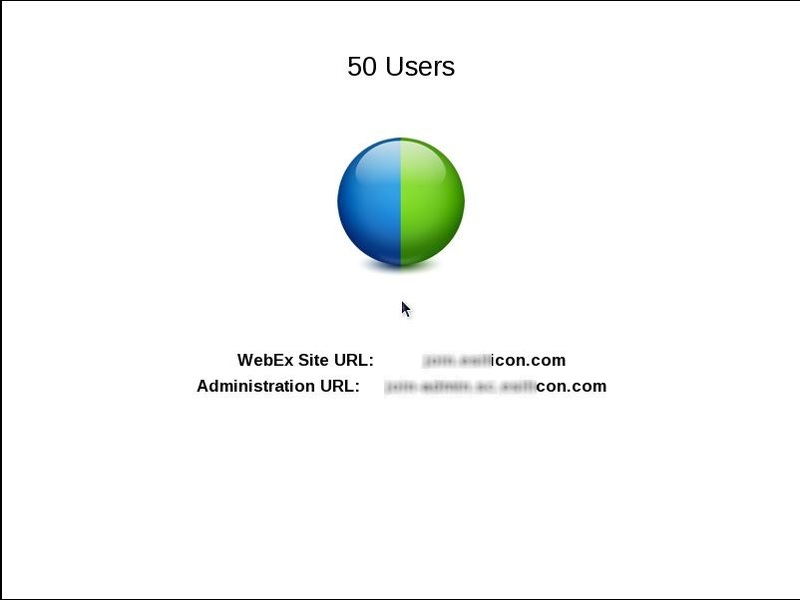 That installed very easily from vCenter and we had this running in a few hours. The next step was a real challenge, but I wrote about that in an earlier article on integration with ADFS for SSO. Well, sort of. At this point, you now have two virtual machines up and running (we chose the 50-user configuration). 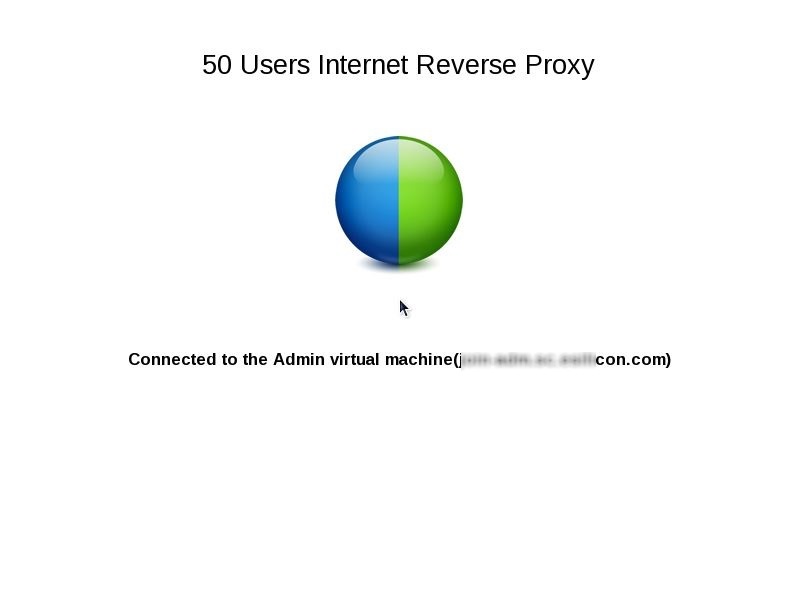 The Internet Reverse Proxy (IRP) virtual machine allows for Internet access from outside users and the Administration server has all the real action going on. Depending on the URL that is presented, you either get the Meeting Page or the Administration Page. 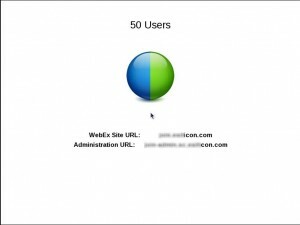 Can I use the console from vCenter? So, you are required to use the URL for your administrative server to do any work with the system. Overall, that is not too surprising, except you worry that if the web server has a problem, you don’t have any mechanism to regain control of the system to take corrective action. All you can do is reboot and hope everything comes up cleanly. CWMS uses the E-mail address for login management which is fine, but the first thing you will learn is that user’s cannot be deleted from the system. They can be activated and deactivated, but never deleted. 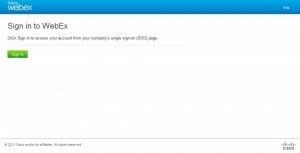 I asked Cisco about this and they had some strange logic about the issue of users leaving a company and then returning and wanting to keep their settings. Really? I’ve been around IT a long time and that is just not a scenario worth thinking about. Resetting a user should they return is standard operating procedure and when someone leaves you generally want to get them out of your systems for security purposes. Anyway, if you have SSO setup correctly, users can add themselves to the system by just logging into the website for the first time. So far, so good. But this is where the product starts to show the cracks. Just look at the login page and you see the first major problem. If this is a conference center that is available to your clients/customers/vendors, then how are they supposed to join a meeting? 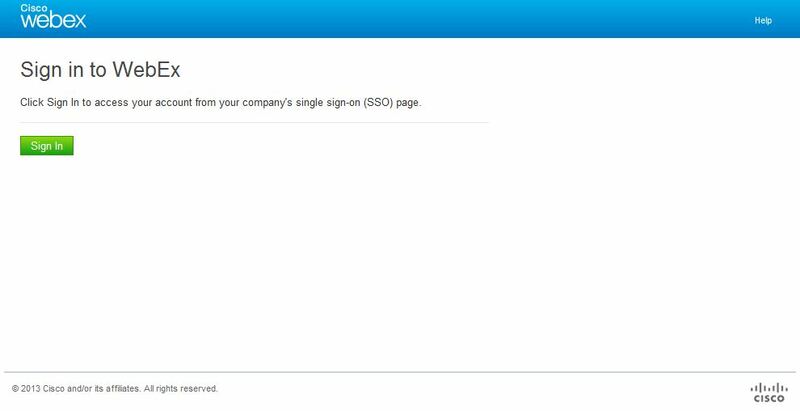 They cannot sign in because they do not have accounts in your ADFS environment. There is no option to enter a meeting ID/password to join a meeting. This web page cannot be customized or modified in any way. What the heck? A quick ticket to Cisco TAC is placed. They informed me that the meeting invitation from Outlook using their tools or a meeting scheduled on the website by an employee will contain a custom URL and that URL is how visitors must join the meeting. No exceptions! Are they crazy? What if your CEO is at an important meeting and does not have his laptop or it has run out of battery. He wants to tell the client to bring up a web page and then calls his administrative assistant for the meeting ID and password. But that won’t work. He must have the invitation E-mail somewhere or the URL. Try convincing your executive management that this is good for them. This is a career-ending catastrophe. I can think of a number of scenarios where this fails. Let’s take the TAC case itself. Whenever you have a problem with a Cisco product, very often the engineer will say, “Hey, go to https://tac.webex.com and enter meeting ID xxxxxxxxx, so we can share a screen.” This system cannot do the same. This is how WebEx, GoToMeeting, MeetingPlace and all other web-sharing systems work. Why did they take that out of this product? Cisco tells me that this is the future with mobile devices and users easily finding their invitations. They also told me that I was the first customer to raise this issue. Baloney! If that is true, then why did my account team tell me that this feature is scheduled to be in version 2.0 coming out later this year? I was told that this product is not built by the WebEx team, but rather the MeetingPlace team within Cisco. That makes me even more confused. MeetingPlace had a significant amount of administrative capabilities. I could change just about every aspect of a meeting for one of my users. If a visitor needed help, they could press “0” and get to the IT helpdesk. Our administrators could see the meeting ID and password and give that information to the person and/or connect them on the phone to the meeting. You would think that the MeetingPlace team knows what administrators need to support their organization. They had a premium product before and it had extensive administrative capabilities. I scheduled a meeting. Where is it?Good question. If a user schedules a meeting, it will not show on the administrative site for up to four hours. As a matter of fact, you cannot get a listing of future meetings at all. 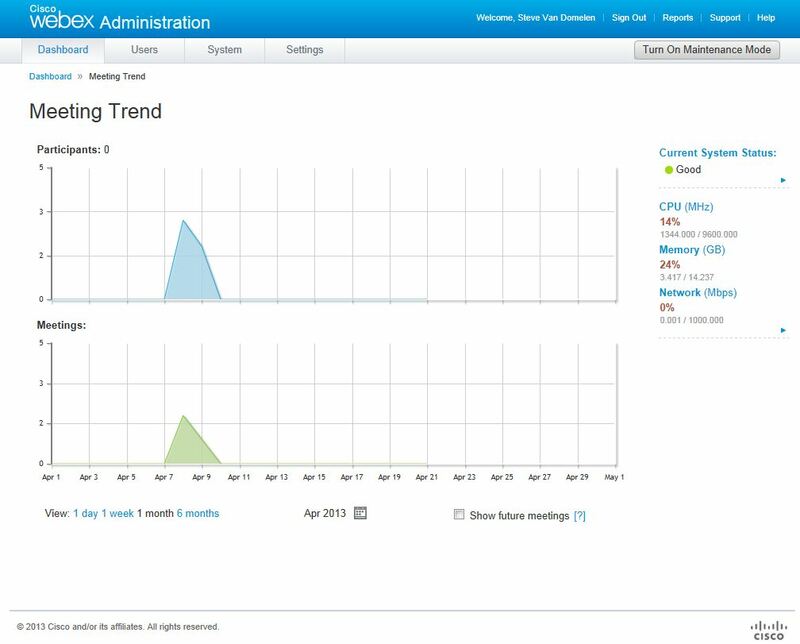 What you can do, is click on the “Meetings In Progress” graph of the System Monitor, which will bring up a couple graphs of you meetings. From this page, you can now hover your mouse over the graph and click on a specific date/time area. This will bring up a page showing you the meetings in that period. But look at what it does not tell you. You do not get to see the meeting ID or password and you cannot change anything. Really, nothing can be changed from the administrative console with respect to a meeting. So, how do you get a schedule for all of the meetings being held today or this week or next week? The answer is that you have to sign in on the main page with administrative privileges to see the meetings. You don’t get many details, but you can see some basic information. Now, lets get back to that four hour hole. What is that all about? According to the Cisco Troubleshooting Guide, the system only updates the scheduled meeting information every four hours for performance reasons. Are they kidding? Performance? This box has dual quad core processors as a requirement and that is insufficient to update the administrative console with up-to-date information? The old MeetingPlace system would update the consoles (MeetingTime and Web consoles) immediately. Can you imaging having a user schedule a 3:00pm meeting at noon and then ask you about it? Your only answer is that you cannot see it, you cannot tell if it is or is not really scheduled and you cannot give them the Meeting ID/password or other relevant information about it? Like most systems, CWMS provides a set of templates that are used to make announcements and create meeting invitations. 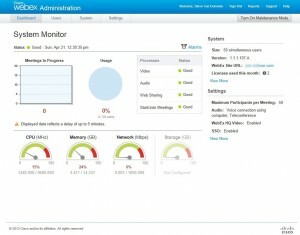 For Outlook integration, Cisco provides the Productivity Tools which can be downloaded from the CWMS site itself. The default invitation from CWMS is pathetic. It is a jumbled mess of data that is hard to comprehend. Thankfully, you can customize it. Well, sort of. 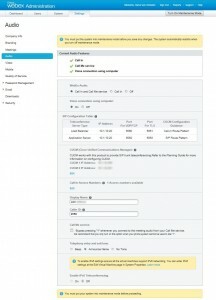 E-mail templates have a number of variables that can be inserted. For example, %HostName% would be the name of the person hosting/scheduling the meeting. So, what variables are included with the product? Good question. Too bad, Cisco does not have a good answer. When I asked for this, I was told there was no documentation on which variables are available or applicable to a template. Cisco TAC contacted the developers and later told me that the submitted a documentation bug against the product, but no date of when those will be available. I was told I could go through the sample templates and guess variable names. The productivity tool templates cannot contain any HTML. However, the URL that is provided by CWMS is HTML and clickable. What gives? This really prevents the administrator from providing a useable and professional invitation to customers. All of the other templates have text and HTML options, but none of the Productivity Tools do. I guess they should call them Unproductivity Tools. Administrators and Users – what about RBAC? 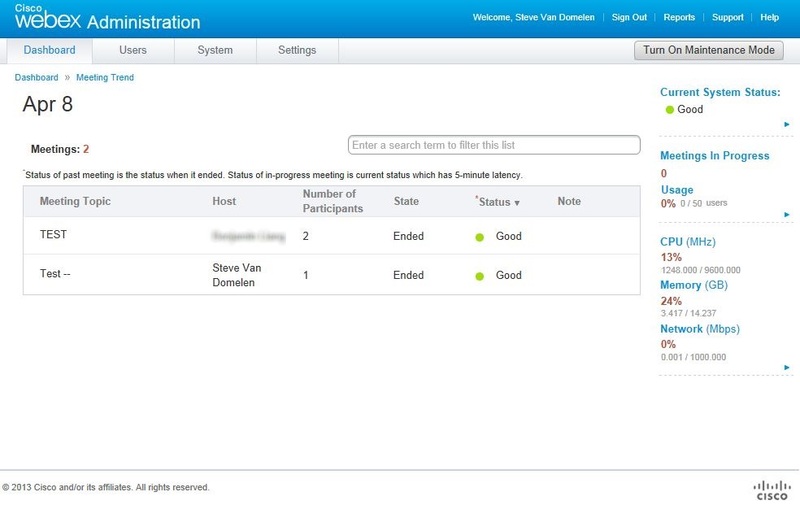 Most systems like MeetingPlace and Cisco UCM have support for role based access control (RBAC). You want limited users with full administrative privileges, some with meeting administration, backup administration, user administration. This is present in MeetingPlace and UCM has a veritable smorgasbord of roles and capabilities, which you can customize to fit your needs. CWMS has two. You are a full administrator or just a user — everything or nothing. On the admin console, there is an audio section for integration with your VoIP system. As you can see on the bottom of the screen, it says that the system must be placed into maintenance mode if you want to change anything on this page. That does not sound too bad, except that in maintenance mode all current meetings are terminated, phone calls dropped and the website becomes unavailable. When exiting maintenance mode, the virtual machines are rebooted. In our case, that is a 22 minute cycle. Why? If all I want to do is edit or add a Call-In Access Number, it requires a reboot of the entire system? There is nothing in that action that requires entering/exiting maintenance mode. And since I cannot see new meetings for up to four hours, I may be rebooting the system when I think it is idle because the administrative console is telling me that there is no meetings at 3:00pm (like the one scheduled above) because the user scheduled it at 12:00pm and I will not see that on the console until 4:00pm. I think you get the point. I did not even get to the user experience with this product yet. From an administrative point of view, this product just does not have any basic features that allow you to service/support your customers. It will cause frustration and it gives you no control of the environment. In my opinion, you can only observe the system and verify that it is working, but you certainly cannot administer it effectively and give users what they have come to expect from other conferencing solutions. My advice; if you already have MeetingPlace with EWS, then go ahead and grab CWMS and start playing with it. However, I don’t think this will be ready for real production use for at least another year or more when the MeetingPlace team puts back all of the administrative features/functions that made that product one of the best around. Thanks for the information. My company is currently in the middle of a Try-and-Buy and most of these issues are going to be deal-breakers. I will be sure to try them out as I am on version 1.1.1 which just came out. I will be interested in your thoughts about the product. This review was a bit unclear on versions. All of my comments and review was for version 1.1.1.107a of the product. I have been told that version 2.0 will be coming out later this summer with some improvements. Great review of the product. I am actually a TAC engineer supporting it and I could not agree with you more on lack of functionality. What needs to be kept in mind though, is that this is phase 1. It is only to start rolling the product out and getting it to work with its limited capabilities. Once we’re solid there, new features will be added. A lot of customers are coming from MP 6 and ask about features. So far I could only tell them – don’t expect CWMS to be a duplicate of MP 6, 8.5 or pure webex, it’s got a little bit of everything, but it is simply not mature product yet. Right now it is the best time to push for features, I have seen then incorporate a lot every release. Stay tuned for v1.5, I think it is coming out in Sep. I was an early adopter, in fact, one of the very first. It was rough in the beginning but is turning out to be fine product. IMHO the strongest aspect of CWMS compared to “MP8.5 with Webex” is you don’t have the confusion of having the audio/video part of the webex in the cloud or on premise. Everything is on prem and you can join the audio via the PC/ipad speaker/mic and the phone attendee can do the same. We deployed version 1.0 and I am trying to install 1.5 beta now. I agree with your assessment of MP8.5, which is why we never went beyond version 6 of MP. Everything went downhill when they tried for force WebEx on everyone. My Cisco rep told me that I would be one of the first on the 1.5 beta plan, but seems that is not the case if you are playing with it. Guess it is time for me to make a call. I’d appreciate your thoughts comments on 1.5 and I will do the same once I get my hands on it.